If you have ever tried to slog through one of my slideshows, you are well aware that I am not much of a photographer. Oh, I take a lot of pictures, but plenty of them are blurry, crooked, or downright irritating. I’ve gotten better over the years, but I’m no Ansel Adams. Still, I have discovered that if I take enough pictures, one out of every 5,000 might accidentally be tolerable. That’s where we get to today’s story. Sometimes when I’m looking through my pictures, I might see one that makes me think, “hey, that’s kinda cool.” Usually it involves me squatting down or focusing in on something without shaking the camera all over the place. With that in mind, I created a photo album that consists only of pictures that I think are interesting. If you’re into vintage car collectables, the Internet is a blessing and a curse. On the plus side, someone will eventually offer anything you could possibly want up for sale no matter how rare it is. But the likelihood that you’ll stumble upon a bargain is pretty remote. And it really takes away from the fun of scrounging around to find that hidden treasure. That’s why sometimes you need to get offline and check out the real world. We did that last weekend when we stopped at the huge Mid-America Flea Market at the Kansas Coliseum and the Paramount Antique Mall in Wichita, Kan. I found hundreds of interesting car models, toys, parts, and more. They don’t make ‘em like they used to. You hear people say that all the time when it comes to the current state of new cars. And for the most part, that’s probably true. There aren’t many places that you can buy a large, V8, rear-wheel-drive car anymore that can devour highway miles like they did 20-30 years ago. But I can tell you from firsthand experience that there is at least one place—your Chrysler dealer. I just spent a week driving a loaded 2014 Chrysler 300S, and it combines everything you loved about those old cars with all the new features people expect and crave. When you think of the early days of car customizing, it’s easy to think that everything worth talking about came from California. But as it turns out, not every famous car was built by George Barris. Wichita, Kan., was the unofficial home to one of those A-list builders, a guy by the name of Darryl Starbird. Starbird created the bubble-topped Predicta, the Lil’ Coffin that was immortalized in model kit and Hot Wheels form, and the Big T, among others. And for more than a half-century, he has also promoted a big indoor car show in Wichita. This weekend, I was able to take in the 56th-Annual Starbird-Devlin Car Show at the Century II Arena. Let’s take a look at some of the fun stuff that was on-hand. When I’m out taking all these car show pictures, there are some design elements that I almost always have to stop and shoot. Hood ornaments seem to be one of them. I love thinking that some designer said, “you know how we can make this look better? Put a twenty pound, chrome-plated, flying naked woman on the end of the hood.” That is just awesomeness right there. And you can be sure that nothing like that is going to turn up on any new cars anytime soon. With that in mind, I thought we’d take some time today and check out a few notable hood ornaments from the good old days. The car you’re looking at here may be one of the biggest sleepers in America. It looks like an oversized Chevy Cruze. It doesn’t really have a name. And it is one of the fastest, most potent full-sized sedans you can buy. The 2014 Chevrolet SS is one of those cars that you need to experience to appreciate. But not many people will get that chance. In spite of being the face of Chevrolet’s NASCAR efforts, this car is a secret. And it will probably remain a secret until someone looks back on them and realizes what they missed. 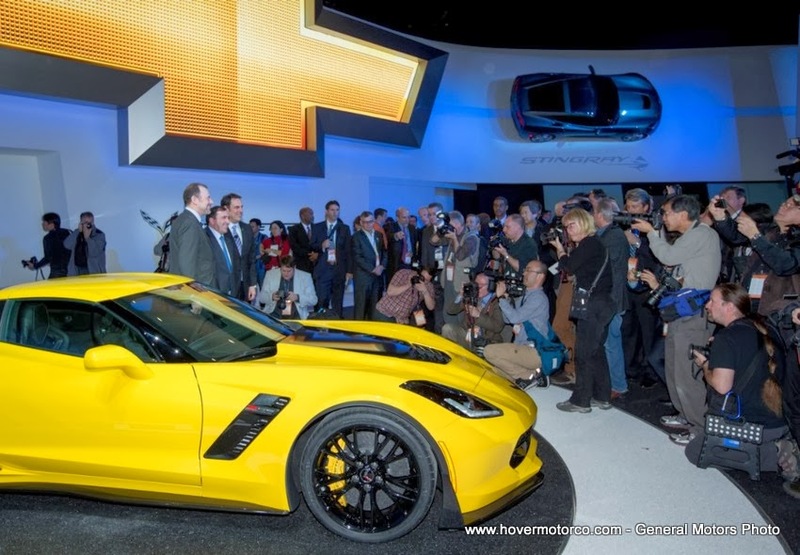 The North American International Auto Show (NAIAS) in Detroit is one of the most important gatherings for new car manufacturers in the world. This is where many of the most significant models are introduced to the public for the first time. If you watch the news or read the paper, you probably know that the press preview is happening at the NAIAS right now. This is actually the first time in many years that I am not in attendance. But that doesn’t mean that I can’t cover it here. The manufacturers have great media departments, and you can pull up videos and pictures from almost all the big reveals. Let’s check out some of the action from COBO Hall. Most of the new cars I have been reviewing lately are so loaded with safety features, you wonder how anyone can crash them at all. I mean, with lane departure warning systems, traction control, backup cameras, and crash mitigation braking systems, what excuse do you have for running into another car? And yet, we still manage to do it. They don’t keep running those traffic reports on the news for nothing. This is nothing new, though. Take the old cars in these pictures. They were equipped with nasty biased-ply tires, fail-prone drum brakes, and lethargic manual steering. These weren’t the pampered classics we see at car shows today. 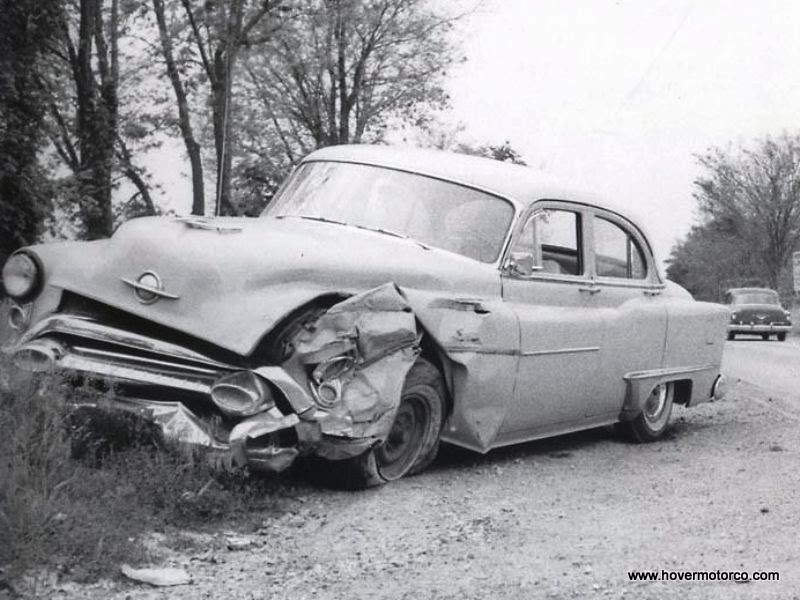 People drove these cars, and sometimes, they wrecked them. As I’m sitting here typing this, temperatures have dipped below zero here in Kansas City. We are definitely not experiencing convertible weather. But that doesn’t mean that we can’t check out some cool convertibles. Back in the day, Dealer Promotional Models (often referred to as “Promos”) were 1/25th-scale replicas that depicted the colors and body styles that were available on new car showrooms. They were often given or sold to prospective new car buyers or their kids, and they made a tangible reminder of just how stylish a new car could be. So on this cold wintery day, I decided to focus on convertibles. Many of these cars have belonged to my dad since they were new, while we picked up others along the way. But we both enjoyed digging them out to present to you. We took BHo to basketball practice last week, and it was one of those deals where the gym was locked and we had to wait for someone to bring the key. It was really cold out, so everyone was still sitting in their cars. There are twenty-one fourth-grade boy basketball players at BHo’s school, and every one of them was sitting in some kind of SUV or crossover vehicle. Every. Single. One. Of. Them. Normally, BHo would have been the exception; but not this time. We had access to a 2014 Jeep Cherokee. And while I’ve never considered myself an SUV guy, per se, I am starting to see why so many people are. Corvettes. You know I love ‘em. But during the winter, it’s hard to go see a bunch of them together. I mean, all the Corvette club guys have theirs hidden away until spring. There is one place you can see them all year-round in Kansas City, though—Vintage Vettes, LLC. BHo and I stopped in to their very cold (very, VERY cold) showroom during the Christmas break to check out what was new. 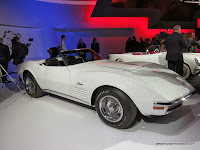 And I’m glad we did, because they had more interesting Corvettes than many Corvette car shows we’ve attended. I love looking through the inventory here, because they specialize in those early cars that helped make the Corvette name legendary. Let’s take a look at some of my favorites. For the second year in-a-row, PPG Industries announced that white is the most popular new car paint color in America. In fact, 25-percent of all new cars built in 2013 were white. That’s pretty exciting news for me, because I just purchased a Summit White 2012 Camaro two months ago. I didn’t even realize that I was so trendy! Anyway, to celebrate the New Year, we’ll take a look at a few notable white cars that I spotted at car shows around town this year.